Editors Note: Due to the nature of the dining experience at Kai, all photos used in this article were provided to us. Plating and presentation maybe have subsequently changed. In a slight change of pace for us, we recently were invited for an overnight stay at the gorgeous Sheraton Grand at Wild Horse Pass. The resort is absolutely stunning! The AAA Four Diamond resort’s design is based off of the Gila River Indian community’s culture and heritage creating not only a beautiful experience but a cultural one as well. While spas and golf courses are top features at the Sheraton Grand at Wild Horse Pass, the jewel of the resort (in our humble opinion) is Kai. Dining at Kai is not just a meal but rather an experience. 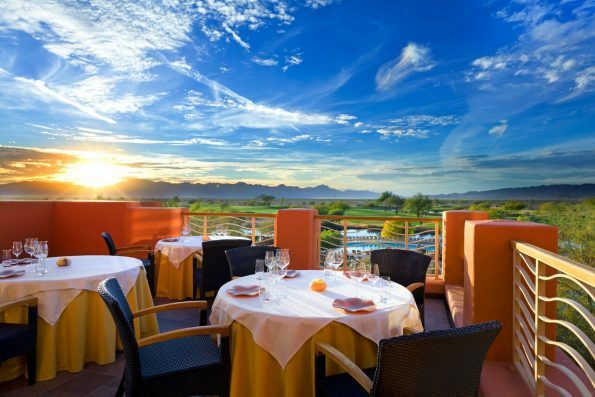 It is the only AAA Five Diamond and Forbes Five Star Restaurant in Arizona. This means that twice a year they are inspected (only one of these inspections is known in advance) to make sure they are adhering to the qualifications these titles entail. AAA defines a Five Diamond Restaurant as, “Leading-edge cuisine of the finest ingredients, uniquely prepared by an acclaimed chef, served by expert service staff led by maître d’ in extraordinary surroundings”. 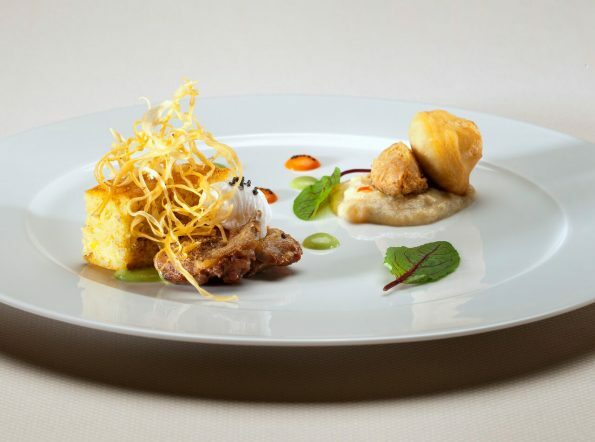 Helmed by Chef Ryan Swanson, Kai exemplifies this is every aspect. After hearing a bit about the restaurant, what we could expect, and learning about the artists featured on each menu, we tucked in to start what would be among the best 3 hours of our dining life. We started with cocktails. We ordered the Mesquite Rouge (Templeton Rye Whiskey, Lillet Rouge, Mesquite Honey, Splash of Lime Juice, Muddled Cherries and Sage) and the “Skocu-thu” or The Hot Stuff (Charbay Meyer Lemon Vodka Infused with Ancho Chili, Limoncello, and Fresh Lemon Juice, Enhanced with a Dried Pepper). Both cocktails had a subtle yet impactful elegance that you can only find in an expertly made cocktail. 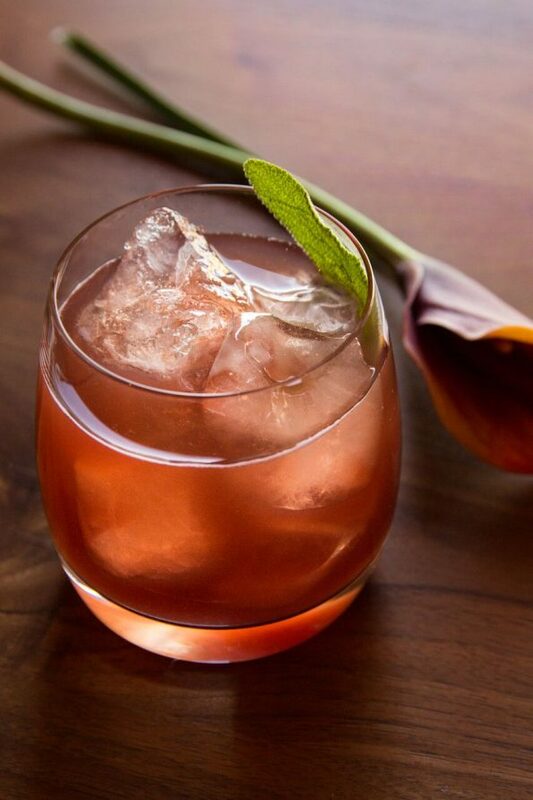 For example, one might expect the Skocu-thu to be a spicy cocktail. Despite the vodka being infused with chili and a floating dried chili, the drink was quite light and refreshing with only hints of the chili. After ordering we were treated to the daily amuse bouche. On the evening we were there it was a Chili Marinated Prawn with creamed leeks, purple asparagus salad, and corn. There was so much flavor packed into this small bite! It definitely set the tone for the rest of the meal. For our appetizer course we went with things we had some sort of affinity for because we wanted to see their take on them. We ordered the Escargot, Wild Mushrooms & Caramel Goat Cheese ( served with Native “Toast”, Truffle Crema, Meyer Lemon & Black Garlic Butter, and Pork Belly) and the Seared Hudson Valley Foie Gras (served with Paw-Paw Fruit, Schnepf Farms Peach Preserve, Pepita Seed Streusel, Cherry Elderflower Gastrique, and a Mesquite & Buckwheat Basket). While we have had both escargot and foie gras in the past, we were not prepared for the amazingness (is that even a word?) that Kai brought to the table, so to speak. Like everything at Kai, both appetizers were visually stunning. The escargot was very rich but was contrasted by the tartness of the crema. The foie gras was the perfect melt in your mouth texture. We literally still talk about how amazing it was! Following our appetizer course, we were served a sorbet palate cleanser. This changes frequently but on the evening we were there the sorbet was Quince Lemonade and was topped with a strawberry current apple syrup. Everyone at our table agreed that we would need a pint of this to come home with us! Continuing on our dining journey, we were served our entrees. We had Life of Fowl (Saguaro Lacquered Quail Breast, Game Bird Pâté, Ga’ivsa Porridge, Fabergé Duck Egg Yolk, and a Nest of Yucca Straws) and Bellota Iberico Llomo Wrapped High Country Elk Loin (served with Fossil Creek Chevre Risotto, Wild Mushrooms, Natural Jus and Truffle Emulsion). Additionally, we paired our meals with some fantastic wines suggested by Kai’s sommelier. We’d highly suggest having pairing selected for you because it will truly give you more cohesive experience. There is so much that could be said for the entrees at Kai, but overall they are really fantastic. The elk is prepared exactly how you would want it and was cooked to a perfect medium. The Life of Fowl was a work of art! The egg yolk was perfectly cooked and even dusted with gold leaf! To wrap up our meal, we had to try dessert despite being stuffed! We went with the Dark Chocolate Soufflé (Scented with Orange Essence & Mesquite Anglaise) and the Pecans (Smoked Pecans, Butternut Squash Gel, Burnt Cinnamon Ash, Brown Butter Sable and Maple Tobacco Crème). Both desserts were absolute perfection! The chocolate soufflé was rich and decadent! The Pecans dessert was basically a smoky pecan pie and definitely worth ordering (get two desserts, this one and then another you want to try). The experience of dining at Kai was truly remarkable! Any foodie living in Arizona must visit to truly call themselves a foodie. Kai ranks right up there with restaurants like The French Laundry and in some cases might be even more unique. The combination of food and culture makes it unforgettable. What dining experiences have changed your life? We’d love to know! Leave a comment below or use the hash tag #GeekEats. *The Geeks were treated to hosted overnight stay to facilitate this write-up; Information about the menu items and photos were provided to us, opinions are wholly our own. View our Disclosure Policy for more info. ← Previous Previous post: Celebrate National Ceviche Day on June 28th! Next → Next post: Celebrate the 4th of July with These Valley Deals!